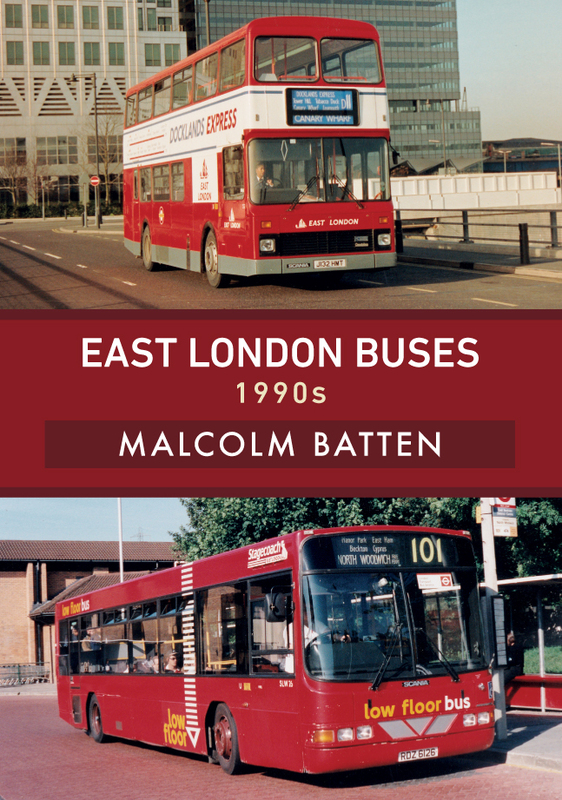 This entry was posted in Blog and tagged 1990s, East London Buses: 1990s, Malcolm Batten, East London Buses, Buses, Transport, Road Transport, London, Amberley Publishing on November 16, 2018 by Amberley Publishing. For transport enthusiasts and historians, anniversaries are always important occasions, and 2018 is no exception. For railway enthusiasts 2018 marks fifty years since the end of main line steam on British Railways with the “15 Guinea Special” on 11 August 1968. Many of the heritage railways will be commemorating this in various ways. Already the Mid-Hants Railway have held a gala for which they brought in another LMS ‘Black Five’ 4-6-0 to work with their resident example and recreate this last BR train, which featured a pair of the type. The other locomotive that featured on that August day, Britannia No. 70013 Oliver Cromwell has been working some main line trips prior to the expiry of its boiler certificate in March. On Thursday 22 February it ran over its original stamping ground from London to Norwich. Unfortunately it suffered lubrication problems on the outward journey and the return trip was diesel hauled. This had been the last steam locomotive to receive a general overhaul before BR stopped overhauling steam, and was saved for preservation on withdrawal. At the Epping Ongar railway, where I am a volunteer, we will be marking the end of BR steam with a photographic exhibition ‘Barry and after – 50 years since the end of mainline steam’ in our Penny Salon gallery at Ongar throughout August. This will feature the locomotives that were sent to Woodhams scrapyard at Barry, but were not cut up and survived to become the mainstay of the present heritage railways. 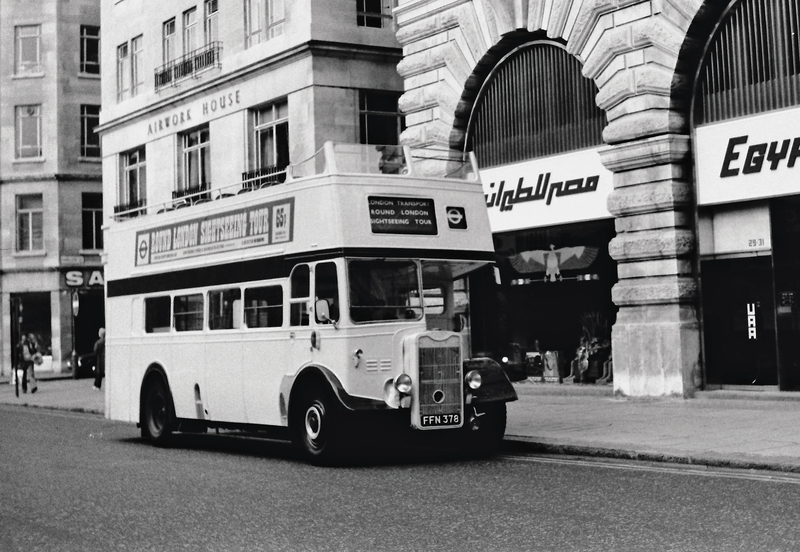 For bus enthusiasts, 2018 marks 60 years since the introduction of the Leyland Atlantean, the first rear engine double deck type to enter production. This will be commemorated at the South Eastern Bus Festival at Detling Showground, near Maidstone on 7 April. 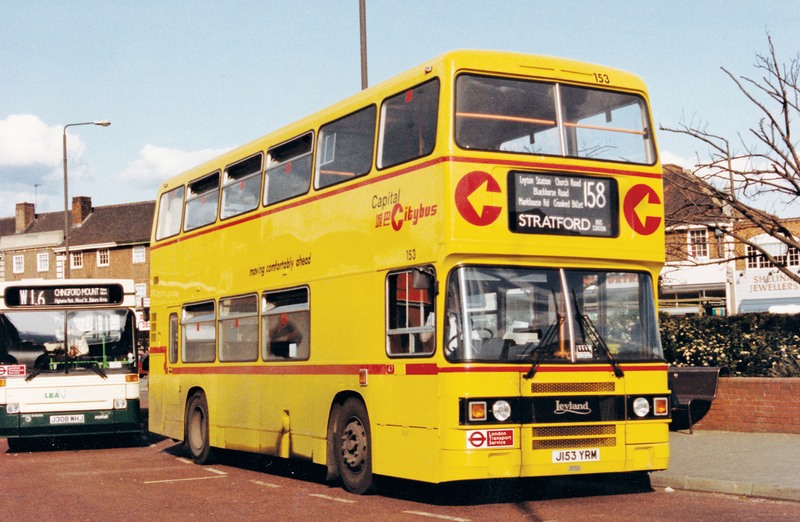 Early Atlanteans are well represented in preservation – the first production examples from the two first operators, Wallasey and Glasgow both survive. Local company Maidstone & District were an early convert, taking Leyland Atlanteans from 1959 when they replaced the Hastings trolleybuses. 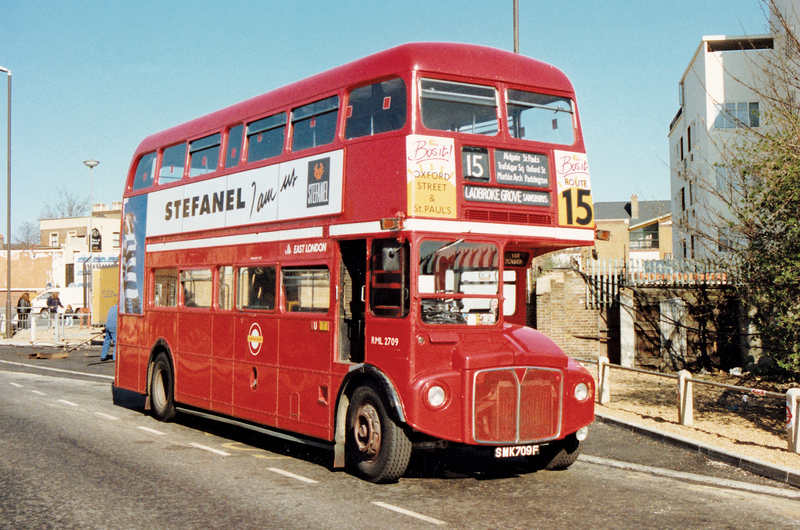 Indeed they bought no front engine half cab double-deckers after 1956, unlike neighbours East Kent, who did not buy any rear engine double-deckers until 1969. At first the advantage of the rear engine design was in the increased passenger capacity it offered over the front engine half-cab bus. But from 1966, when one-person operation of double-deckers was legalised they had the advantage of being suitable for such work, with the passengers boarding alongside the driver. 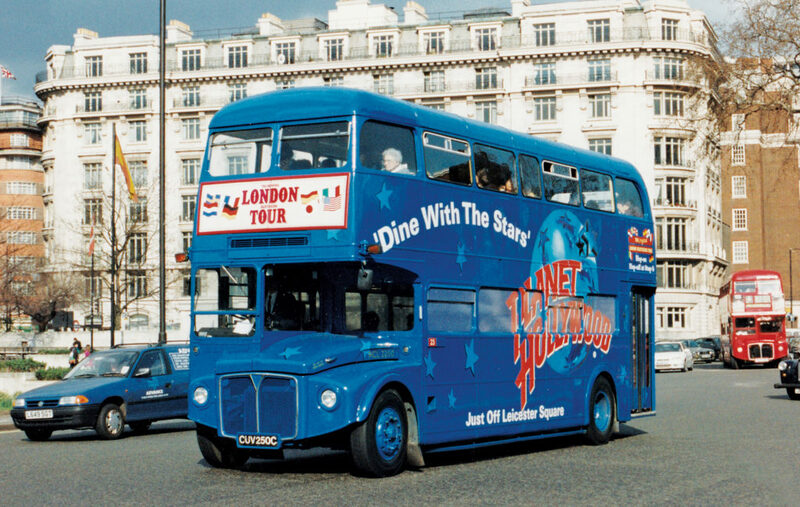 By this time other models, such as the Daimler Fleetline and Bristol VR had entered the market. 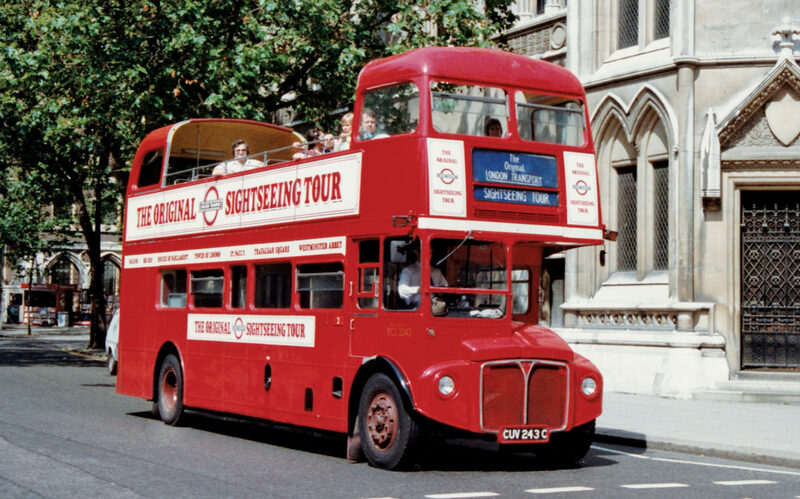 Meanwhile London Transport had been introducing production models of the Routemaster, a traditional front-engine half-cab design, although mechanically superior to the Atlantean. 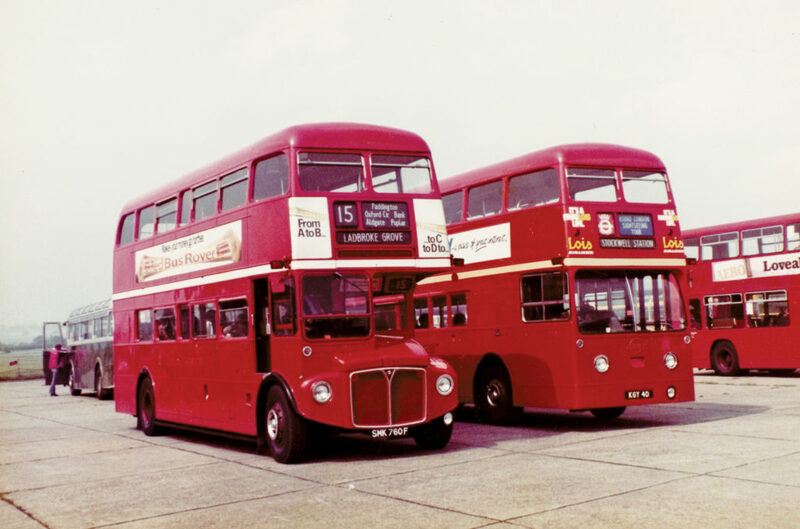 They did buy batches of Leyland Atlanteans and Daimler Fleetlines for comparison trials in 1965-6. They also built a solitary rear-engined Routemaster FRM1. 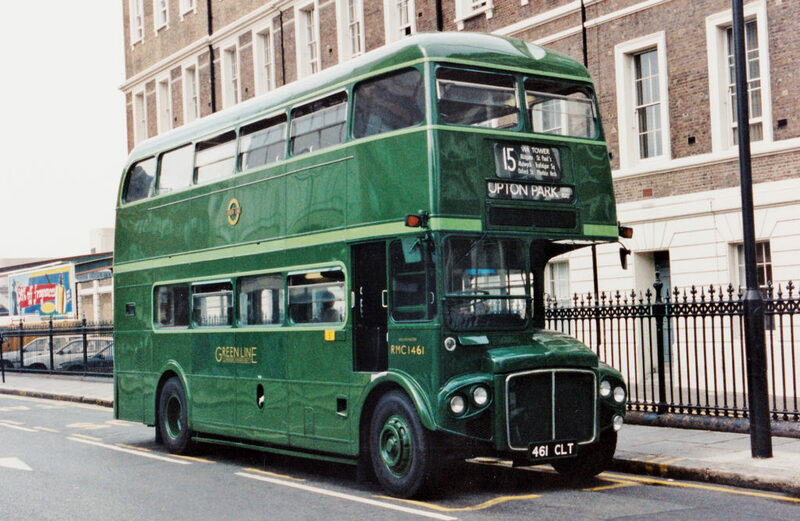 But this did not enter volume production, and eventually London Transport chose Fleetlines to succeed Routemasters in the 1970s. 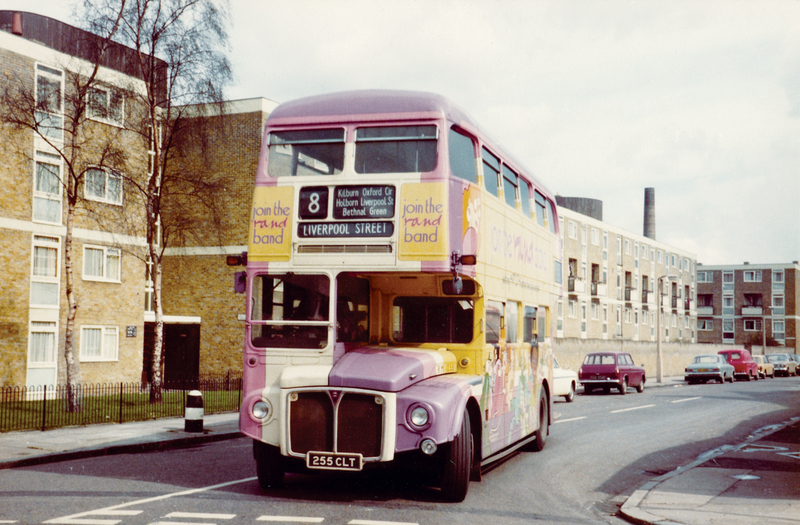 This brings us to the third significant anniversary – that of the Transport Act 1968. This brought in the National Bus Company, merging the state owned bus companies run by the Transport Holding Company with the formerly private owned BET group. It also created Passenger Transport Executives to merge the local authority bus fleets in major conurbations – Greater Manchester, Merseyside, West Midlands and Tyneside. 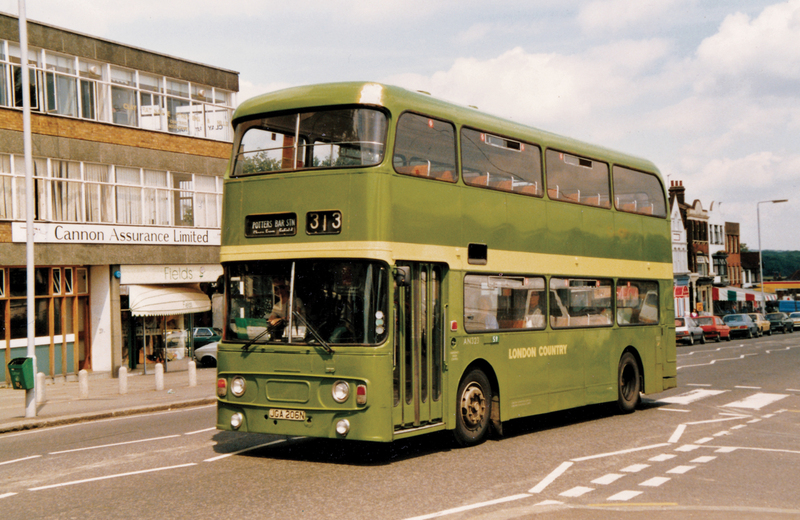 As a consequence of this, London Transport lost its country area green buses and Green Line express services to a new NBC fleet, London Country Bus Services from January 1970. The Act also introduced as bus grant scheme, whereby grants were available for the purchase of new vehicles to modernise fleets. As this did not include half-cab vehicles not suited for one-person operation, production of these traditional vehicles came to an end in 1969. 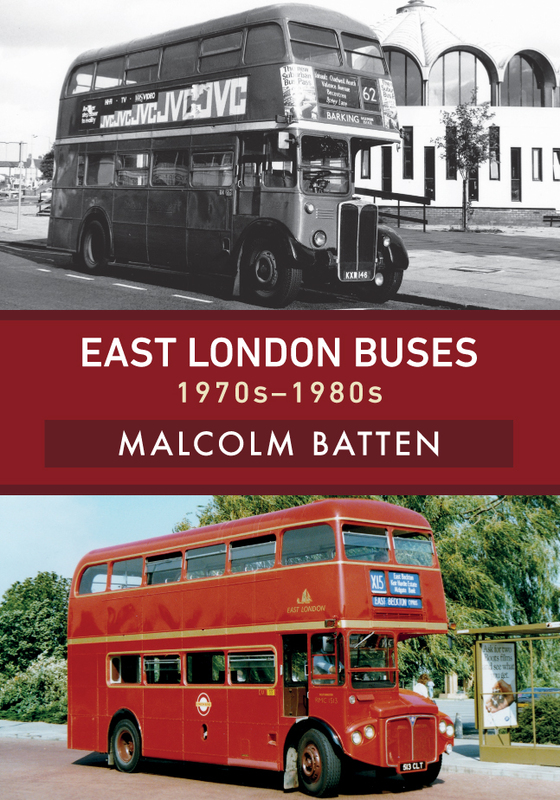 Malcolm Batten's new book East London Buses: 1970s-1980s is available for purchase now. 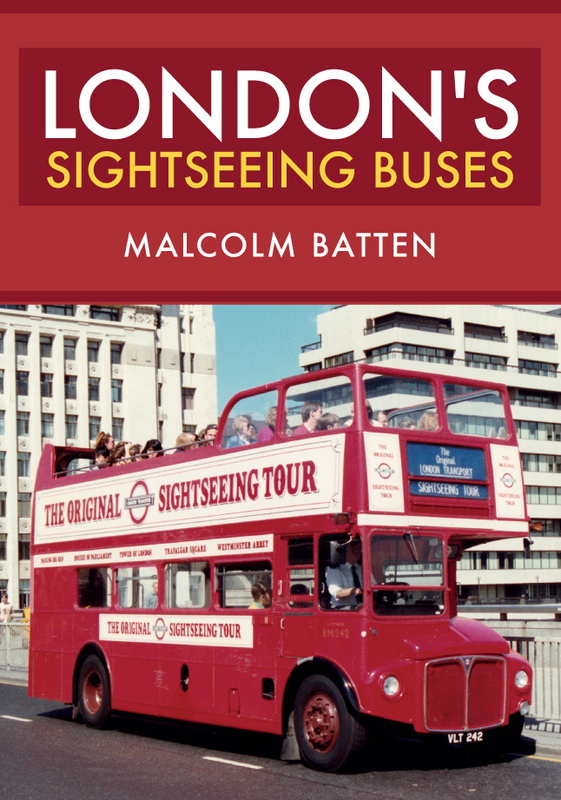 This entry was posted in Blog and tagged 20th century history, Malcolm Batten, 1970s-1980s, East London Buses, East London Buses: 1970s-1980s, Buses, Transport, London, Local History, Amberley Publishing on May 14, 2018 by Amberley Publishing.